I carry business cards on me most of the time to hand out to businesses for product reviewing purposes. I'm actually running out of those, but that's another story. I have a few important cards that I need to carry on me at all times, so I wanted to see if they would fit. 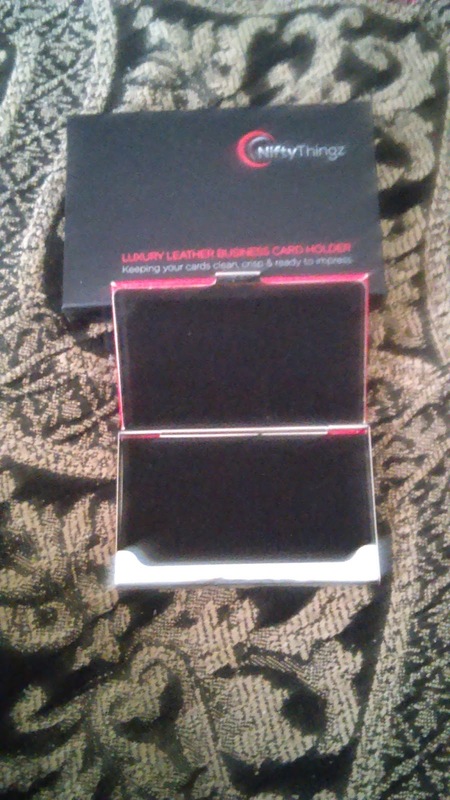 I was pleasantly surprised to learn that this business card holder is the perfect size to hold them in. Now, when I'm in a rush, I can just take the holder with me, instead of having to carry everything in a bulky wallet or purse. The red color of mine is perfect, since red is my number one favorite color. It's made of very nice material. It seems very durable and good quality. It looks very well made. I love how thin it is and yet it can hold quite a bit of cards. This product is available in a few different colors, ensuring that either men or women could use this. 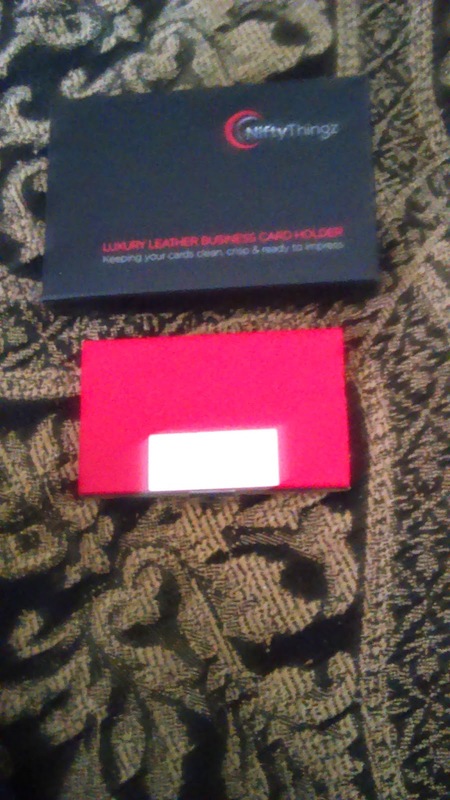 It looks fancier than just pulling out a business card from your pocket or wallet. Look stylish and keep your cards damage free. 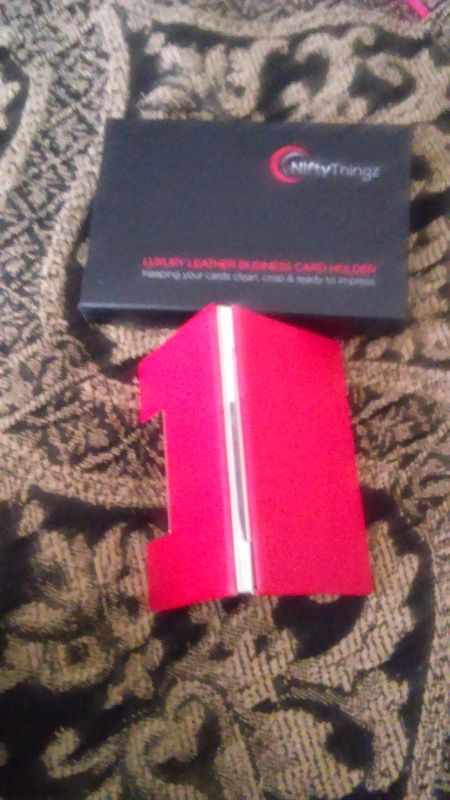 Learn more about this stylish little card holder, click here.